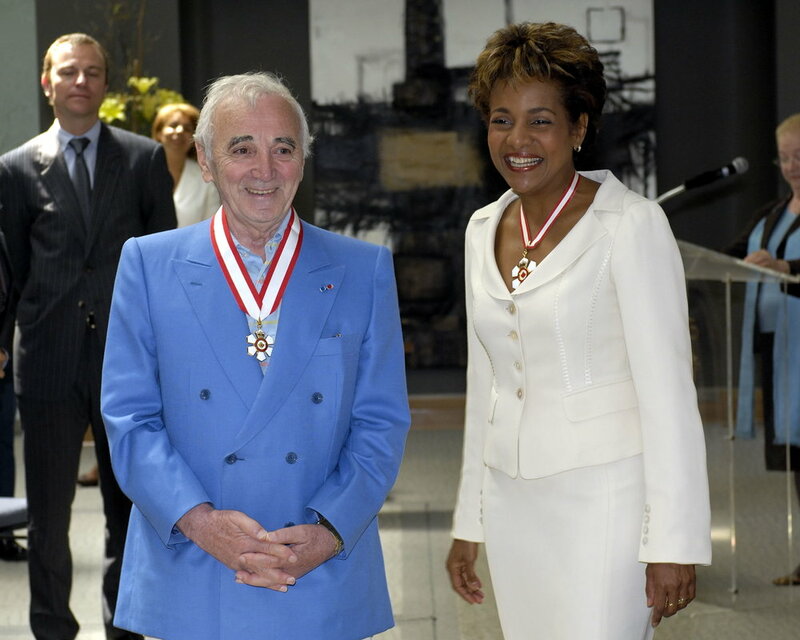 I was lucky to invest famous Armenian of the world Charles Aznavour into the Order of Canada in 2008. The legend was going to open the 17th Summit of La Francophonie in Erevan, on October 11, where we would have joined him in the song “La Bohème” as we faced Mount Ararat. Charles Aznavour we love you! It is with extreme sadness that we learn today, October 1, 2018, of the death of Charles Aznavour at age 94. All of La Francophonie, slated to meet at the 17th Summit of Heads of State and Government in Yerevan later this month, was getting ready to join him in the song “La Bohème,” in the land of his roots. The Secretary General of La Francophonie had these words to honour the memory of this exceptional artist: "An Armenian of the world, Charles Aznavour has been one of the best ambassadors for the French language, for all of its values, and especially that of Liberty. Wherever we stand within the vast expanse of the French-speaking world, we love and will always love the man and his chansons, which will remain a treasure for humanity as a whole." In the course of his career spanning over seven decades, Aznavour became one of the greatest singer-songwriters of the 20th century and, above all, one of the most brilliant performers and conveyors of French, a language he sang in every key, on every continent. Born in Paris from Armenian refugees, Charles Aznavour loved to sing in various other languages, a way for him to pay tribute to the wealth of diversity around the world. "Wherever he stood, Charles Aznavour felt right at home, and that was because of his language, and of his profound humanism, especially. When the 2010 earthquake hit Haiti, he joined the relief efforts in a spirit of deep solidarity. Aznavour also extended his roots all the way to the province of Québec. I still remember with great emotion the day, on July 5, 2008, when as Governor General of Canada I presented him with the insignia of an Officer of the Order of Canada, a country he loved for its openness, its spaciousness and its people. It made us both very happy," said Michaëlle Jean, who extends her deepest sympathy to his family and loved ones.